Twenty-seventeen was a challenging year in many ways. I found myself doing a great deal of soul-searching about my adopted country and how I might (let alone should) respond to the election to the presidency of a man whom I thought was manifestly unfit for the office—and who has proven himself to be so in every way. One way I coped was writing The Trumpiad—a mock-heroic satire in ottava rima, the verse pattern (abababcc) employed by Lord Byron in Don Juan, his picaresque satire of politics and manners, composed 200 years ago. Each month, I composed a canto with as many verses as days in that month, and posted them on this website. I then spent January and February editing all 365 verses (and one villanelle) to get the rhyme pattern and meter right. 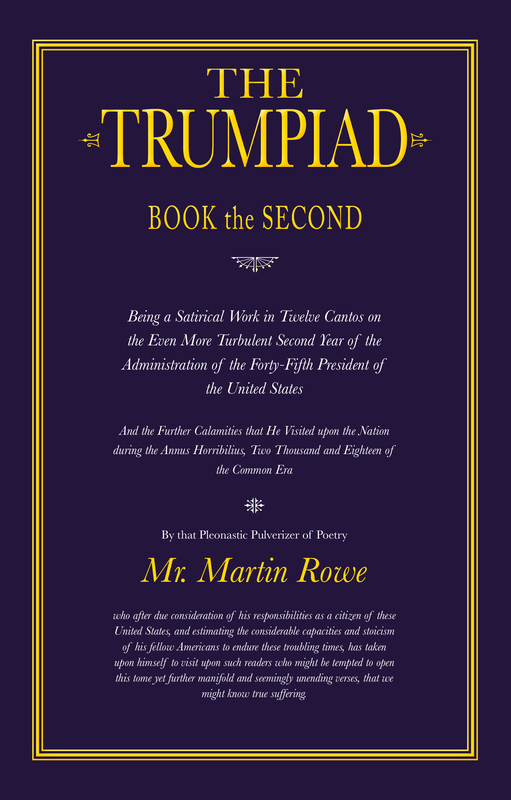 I have now published The Trumpiad (with various glossaries) as an e-book on Smashwords and as a three-dimensional book using Amazon’s Create Space self-publishing program. Publishing in this way has provided me with valuable first-hand insights into a couple of the “alternatives” to publishing that I often talk about with would-be authors. I’m also pleased to offer the proceeds of the sales (beyond the cost of printing) to two charities (Vine and New Alternatives NYC), which you can read about on The Trumpiad‘s page. The epic continues into the president’s second year, and you can read the latest effusions on this page. After several years of false starts, Japanese composer Mihoko Suzuki and I completed our five-part song-cycle on the life and experiences of the Kenyan environmentalist and Nobel Peace laureate, Wangari Maathai. Entitled And the Hummingbird Says . . . , the five-part, 50-minute piece is now available on CD or for download, and you can read all about it and link to the page to purchase it here. The CD contains the libretto, but you can also read them in their entirety on the cycle’s individual song pages (1, 2, 3, 4, 5). A few years ago, I was fortunate to play a role in helping Gene Baur, the co-founder of Farm Sanctuary, complete his first book, which told the story of the organization and the many animals that he’d rescued from stockyards. 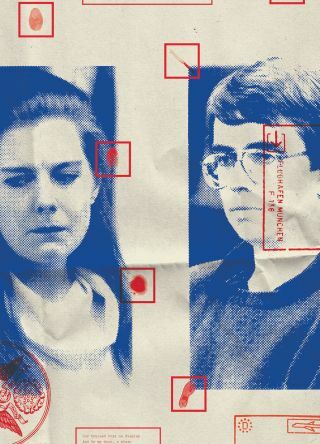 Last week, my company, Lantern Books, and I were mentioned in a profile of one of our authors, Jens Soering, by Nathan Heller in The New Yorker. This was a first for us. Three of Jens’ books with Lantern were named—One Day in the Life of Prisoner 179212, An Expensive Way to Make Bad People Worse, and The Way of the Prisoner—as was the individual, Fr. Thomas Keating, who brought Jens to us, and who is another of our authors. Farm Sanctuary: Changing Hearts and Minds about Animals and Food was published to modest success by Simon & Schuster in 2008. One of the purchasers of that book left a copy at a bed & breakfast in New Jersey. A visitor picked up the book, read it, and was so inspired by its story, and the tales of the animals who made their way to Farm Sanctuary, that she told her husband about it. The visitor was Tracey Stewart, the wife of former Daily Show host Jon Stewart. Not only did Jon invite Gene on his show to talk about his latest book, Living the Farm Sanctuary Life, co-written with Gene Stone, but Tracey purchased a parcel of land in New Jersey that will be her own sanctuary for farmed animals, and which will be run by Farm Sanctuary. She also published a book, Do Unto Animals, that, like Farm Sanctuary, is a rallying cry for less cruelty and more compassion. In a world where it’s harder and harder to break through the incessant noise of self-promotion, information overload, and multiplying media to reach your audience and make an impression, the story of how one person read one book that changed her life and thereby brought an enormous amount of positive attention to a worthy organization is delightfully analogue, old-school, serendipitous . . . take your pick. No paid consultants; no publicity hacks; no massive media blitz. Just a book on a table that found its way into the hands of someone who was ready to be transformed. It’s perhaps what all publishers and authors dream of: it so rarely comes true, that when it happens there’s something providential about it. I wish I could say the Heller piece has aroused great interest in Jens’ work/situation or our company, but it hasn’t . . . yet. I like to think that it’s still early days. Apartments around the world are filled with back issues of The New Yorker waiting to be read. Jens is the subject of a forthcoming documentary film, The Promise, which may remind that special someone of Heller’s thoughtful piece, and which in turn may stir the Kraken of national attention. Until then, we do our bit, communicating however we can about our books—hoping that that special someone will change her life and change the world. Books change lives every day. A book takes more than a few minutes to read. A book envelopes [sic] us, it is relentless in its voice and in its linearity. You start at the beginning and you either ride with the author to the end or you bail. And unlike just about any form of electronic media, you get to read the book at your own pace, absorbing it as you go. A friend who is currently writing a book sent me an email about its progress. She told me she’d started to read H is for Hawk, Helen MacDonald’s award-winning memoir of how she dealt with her grief over her father’s death through falconry. My friend had had to stop reading the book, she related, because she’d been intimidated by MacDonald’s lush vocabulary and poetic style and it made her feel inadequate as a writer. Her own language was much more down to earth, she wrote, and she was trying to tell a story very plainly. I have not read MacDonald’s book, but my friend’s comments did strike home. I, too, tend toward lushness in my prose. I often ask my sentences to carry a lot of weight—not least by freighting them with dependent clauses, balancing them between several semi-colons, and never allowing a noun or verb to complete their tasks without colorful adjectives or adverbs as chaperones. Once I’ve reached a first draft, I polish my prose to a dazzling sheen, which is not to say that it’s clear, well-written, insightful, or compelling. It may sound resonant; it may be lyrical; it may offer to the reader a veneer that suggests a rich grain of considered thought. But, in the end, the polish can lacquer the prose to the point of lifelessness. I’m currently reading Hilary Mantel’s Wolf Hall, the first volume of her much-lauded re-imagination of the life and times of Henry VIII’s fixer, Thomas Cromwell. I’ve no doubt that Mantel labored as mightily over her prose as MacDonald did hers, and I do mine. What’s remarkable, however, about Mantel’s writing is that it feels as unvarnished and sometimes as muddled (who is the “he” in this sentence?) as the times she is describing. Sentences tumble into each other; we move back and forth in time and in and out of Cromwell’s head frequently within paragraphs; names are dropped, kicked around, and picked up again with abandon (and who is this “Thomas”?). Yet it all works. The prose more than breathes; it runs, pants, shouts, laughs, whispers, and has all the energetic vital signs you want in a book. It’s Dickensian in all the right ways: expansive, unafraid, pell-mell, and rich with characters and incidents. And in its own way as plain as day. My worry as a writer is that my effort to make each word matter and to render each sentence beautiful is my way of avoiding producing sentences over which I don’t have complete control, which is itself a symptom of fearing not that I lack the tools to write a book but that I don’t actually have enough raw materials to make anything worthwhile. My facility, after all, hints at facileness. Yet a little less polish might open up cracks in the story to reveal emotional, intellectual, and narrative depths that had heretofore been plastered over by “fine” writing. The task is not to write plainly or beautifully; the task is to write truthfully. And sometimes that is a harder and scarier prospect than any prose style can fix.